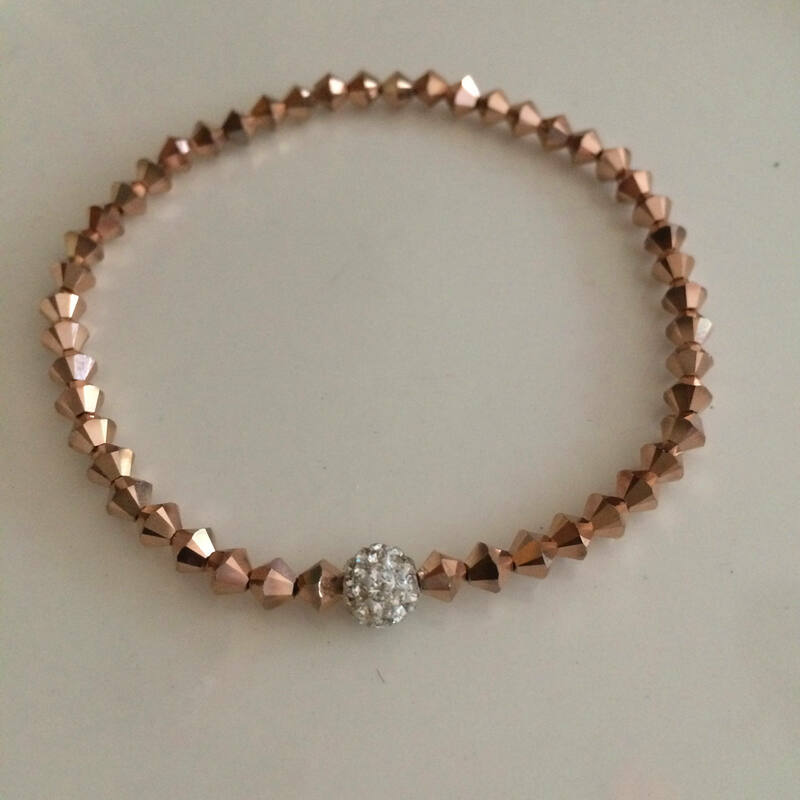 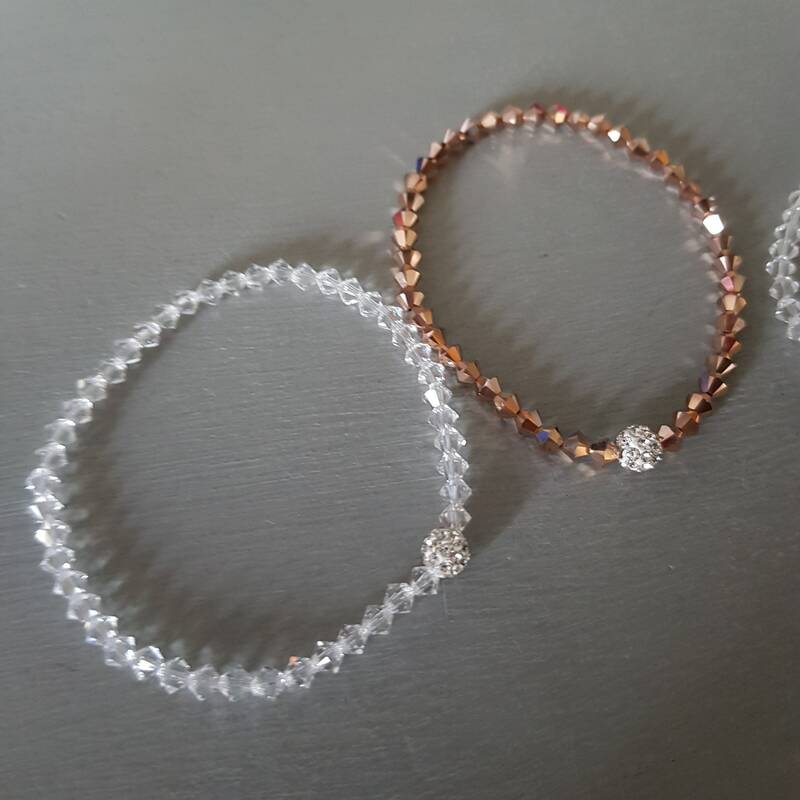 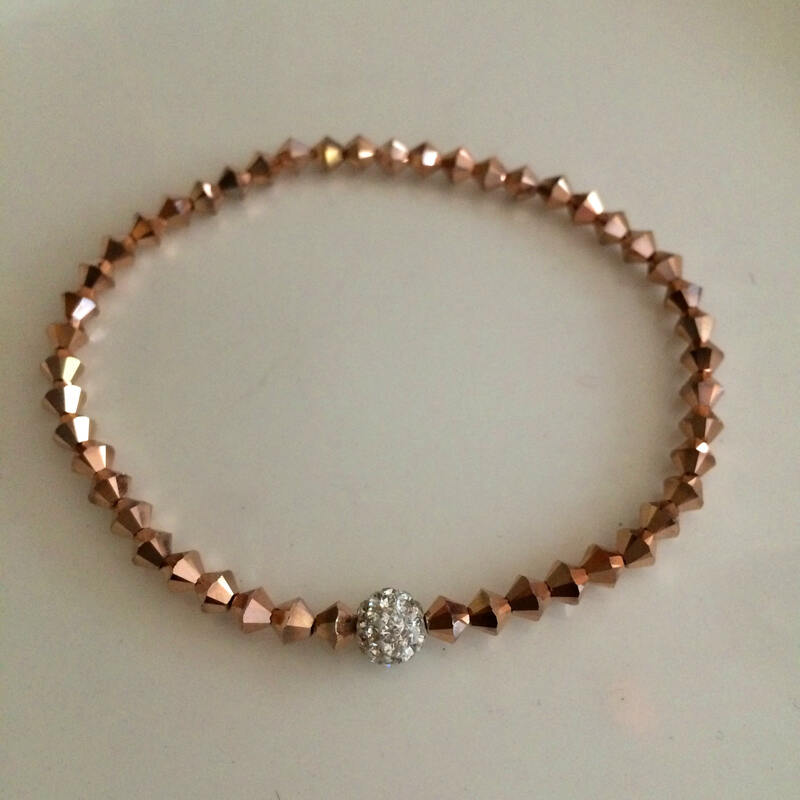 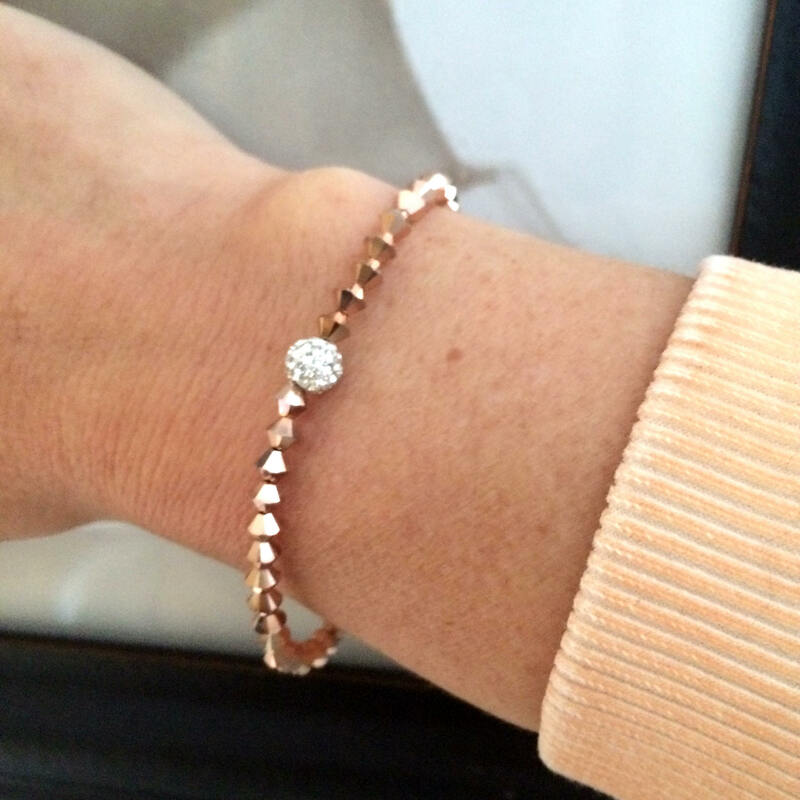 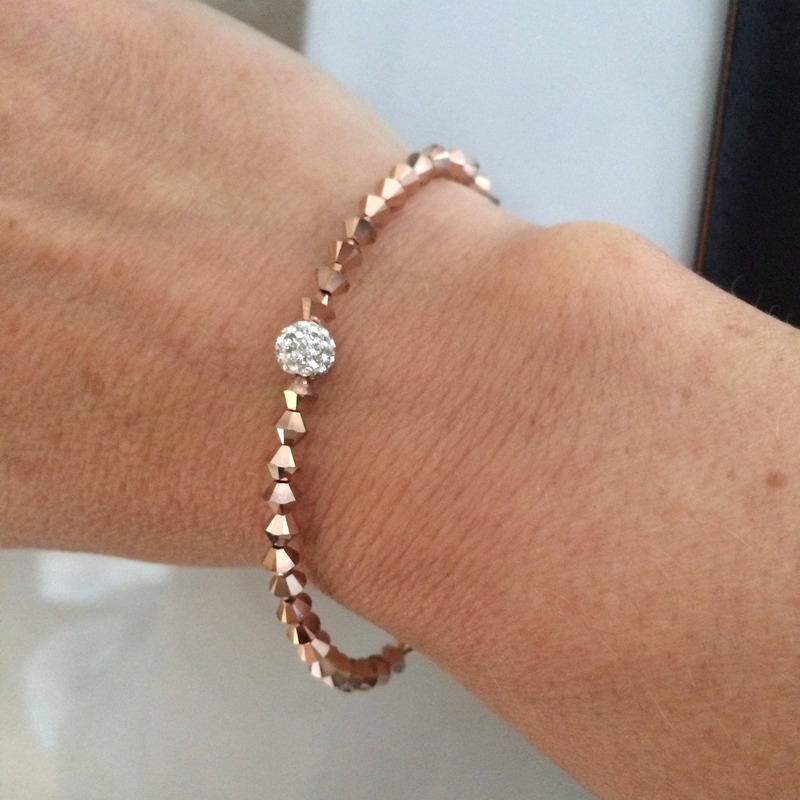 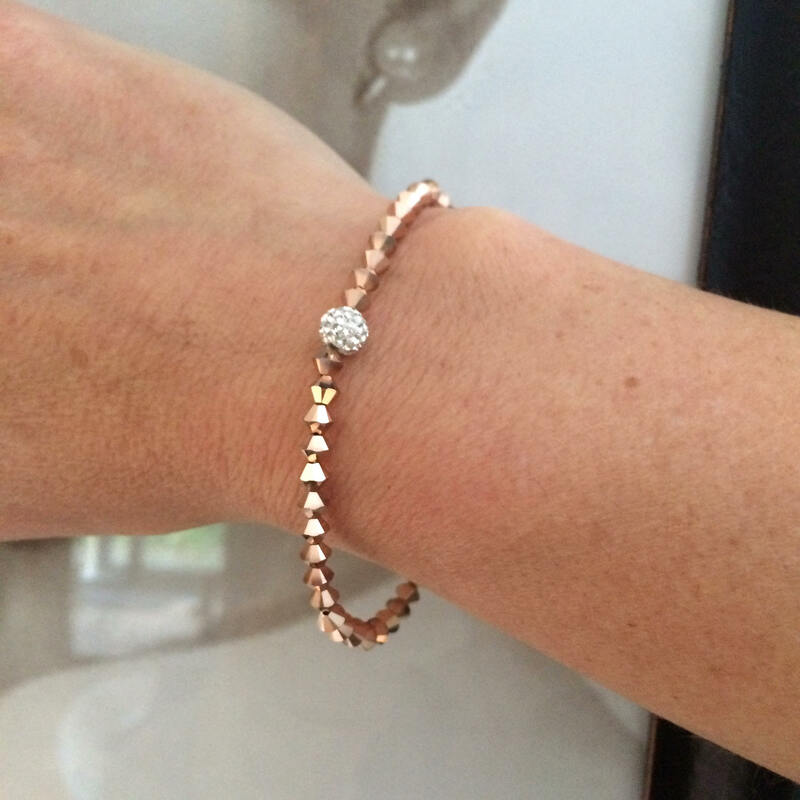 I named it "Sparkly Rose Gold"
This bracelet comes complete in a pretty gift pouch to make a perfect unique handmade gift. 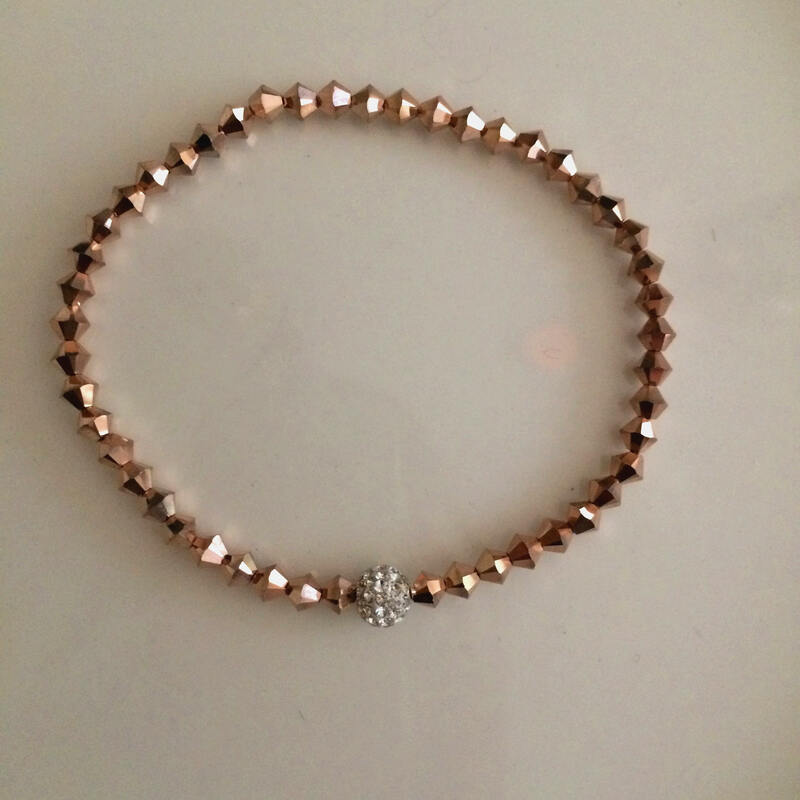 This bracelet is available in all 12 birthstone colours and many more! 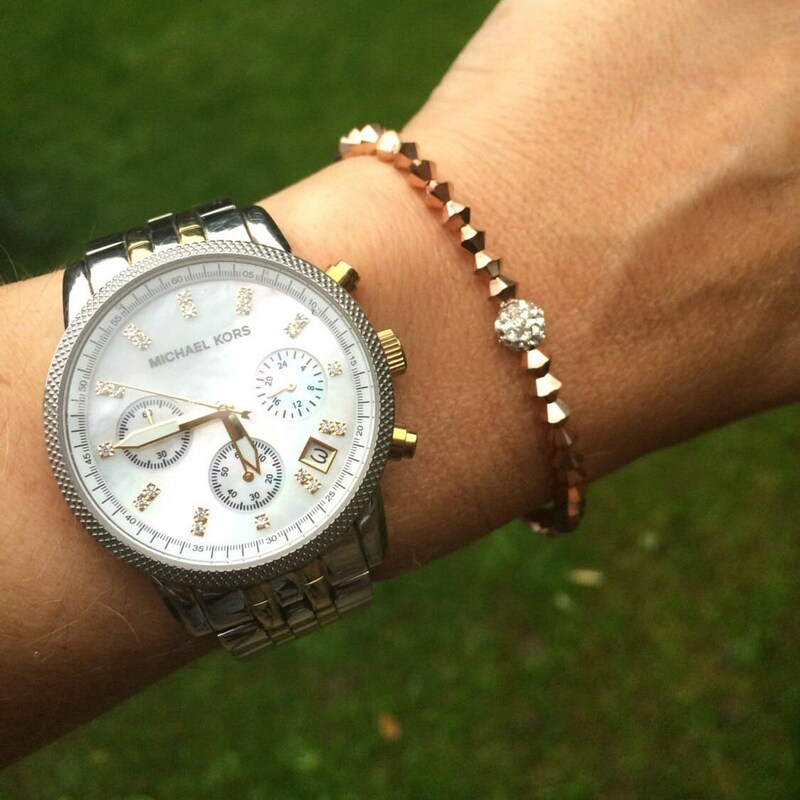 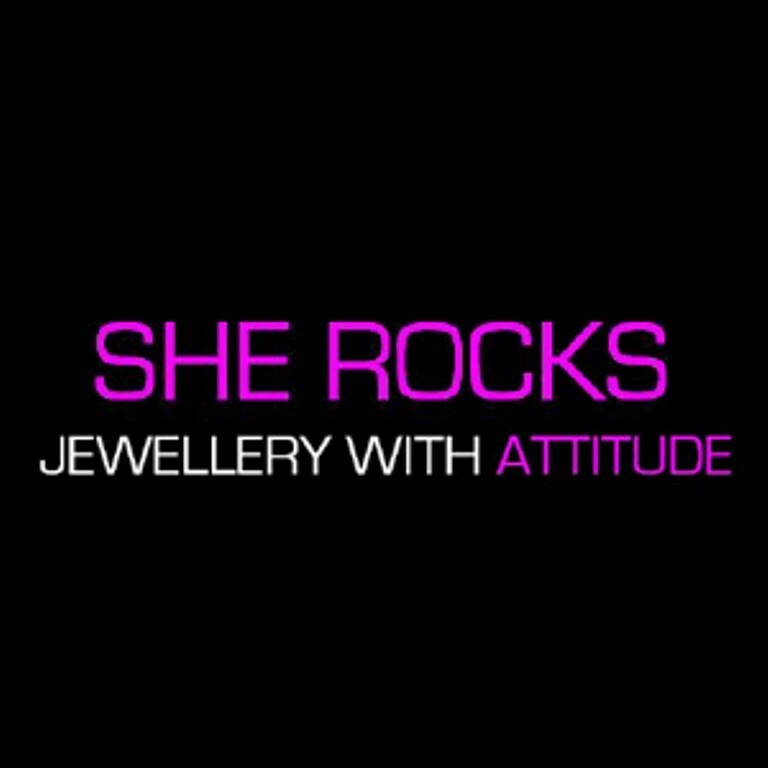 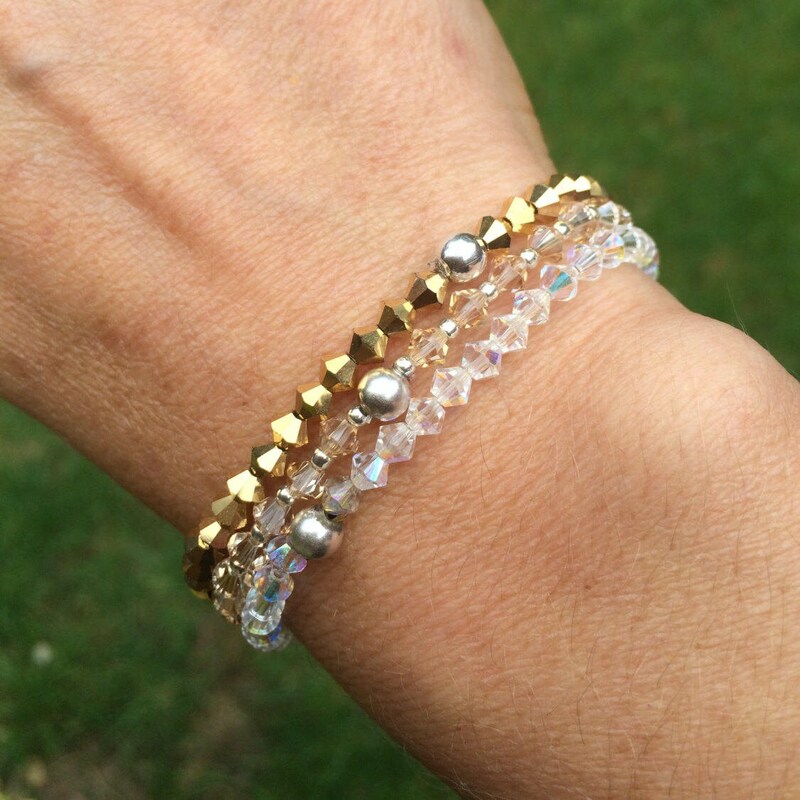 Perfect to wear on its own or for stacking up with my other Swarovski crystal, tiny gemstone and freshwater pearl bracelets!